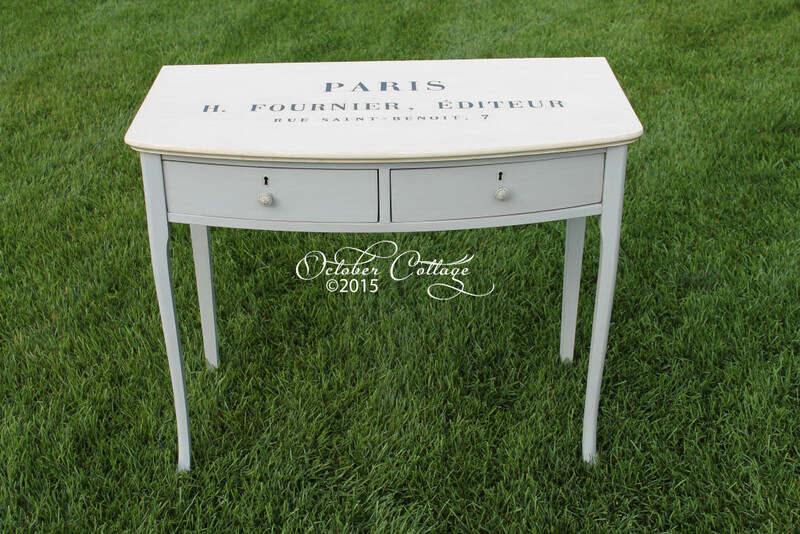 A Paris graphic created by October Cottage complements this writing table. 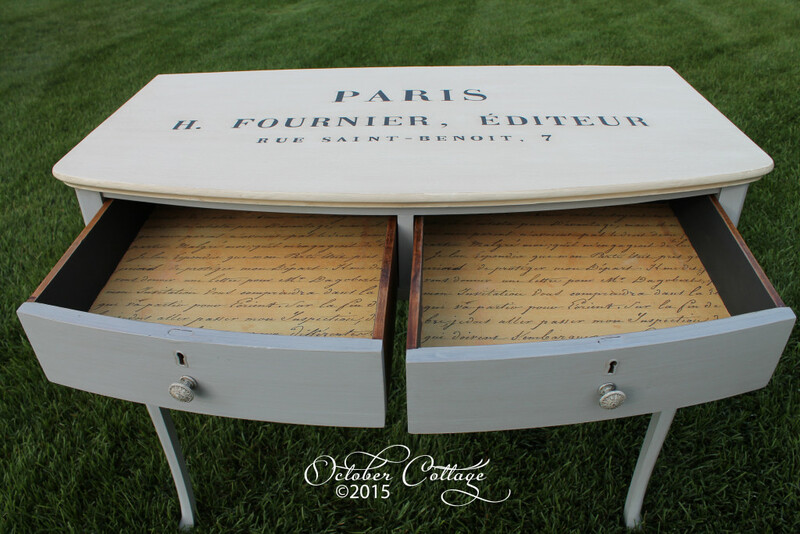 A wonderful place to put your laptop while you work on your blog or even the next great novel! Susan’s hand-lettering provides a unique accent for your home.